Blog - Which is more important for weight loss: sleep or exercise? 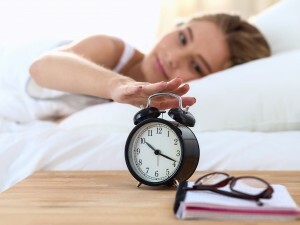 Home » Blog » Which is more important for weight loss: sleep or exercise? Which is more important for weight loss: sleep or exercise? We often think of weight loss as a simple equation: calories burned (exercise) must exceed calories consumed (diet). But there are actually a number of other factors that can contribute to weight loss or weight gain, including existing health problems, how much sleep you get, whether or not you smoke and your stress level, just to name a few. Surprisingly, getting too much or too little sleep may tip the scale in one direction or another. But is sleep more important than exercise? So just how much sleep do you need? Most research suggests that adults need a minimum of seven hours of good sleep every night. Not only is it important to get enough sleep, it’s also important to try to keep a consistent sleep schedule. Going to sleep and waking up at the same time every day will prevent your body’s circadian rhythms from being disrupted, which could make it harder to fall asleep and cause an increase in appetite. How much exercise do you need? The CDC and the American Heart Association recommend getting a minimum of 30 minutes of moderate-intensity exercise (such as a brisk walk) five days a week, for a total of 2.5 hours. Don’t have 30 spare minutes to exercise? Break your exercise up into two 15-minute segments during your day. Seven hours of sleep and 30 minutes of exercise every day is just the minimum recommendation. Of course, more exercise will help you burn more calories and drop the weight quicker, but getting too much sleep may actually cause weight gain. So even when you’re tempted to sleep in, try not to sleep more than nine hours at night. Researchers have found that people who sleep more than nine to ten hours each night are more likely to gain weight than those who sleep seven to nine hours each night. If you are eating healthily, exercising regularly and still struggling to lose weight, take a look at your sleep habits. Balancing the right amount of sleep with plenty of exercise may be just what you need to rev up your fat-burning engine.